Adrian Flux is a leading light in the hot hatch, sports coupe and performance car insurance market. If you drive one of the fabulous hot hatches or coupes available these days, you'll probably be used to insurers rubbing their grasping hands with glee as they provide their quote, particularly if you're a younger driver, or have a history of motoring convictions. Well, here at Adrian Flux, we know a lot about the kind of drivers who buy hot hatches and we pull out all the stops to get you the best deal. For instance, we know that the other insurers have got hot hatch owners all wrong, because drivers who love cars as much as you do take extra special care of them - and that means they're less likely to make a claim. We also know that, given the choice, thieves usually prefer to take inconspicuous cars like your dad's dark saloon, rather than a fully kitted up hatchback, or a smart sports model. And because we know this we could give you a cheaper quote. Whether your car is a Mark I Golf GTi, Renault 5 Turbo, Saxo VTS or Focus RS, we have a specialist policy for you and our many specialist schemes mean we could ensure that you get a competitive rate. In fact we can offer low-cost, high quality insurance cover to most drivers of hot hatch cars, including young drivers and convicted drivers. And vehicles that most other insurers won't even cover - modified cars, left hand drive vehicles or Ford Cosworth models - are not usually a problem for us. Turbo Insurance for all makes including Renault and MG. Most drivers of Alfa Romeo, Audi, BMW, Citroen, Fiat, Hyundai, Lancia, Mercedes, Peugeot, Renault, Saab & Volkswagen. Introductory discount for Pass Plus, IAM, RoSPA and many other advanced driving courses. Note that we also have special schemes for American Car Insurance, Classic Car Insurance, Cherished Car & High Performance Car Insurance, Current Standard Car Insurance, Import Car Insurance, Modified Car Insurance and 4x4 Vehicle Insurance. Our policies for hot hatch and performance car drivers are already amazingly cheap, but you could save yourself even more money if you follow our simple tips for getting the best possible premiums. For younger drivers that may mean a saving of hundreds, or even thousands of pounds, but older drivers can save big too. There are several advanced driving qualifications which will give you extra skills as well as potentially reducing the price of your car insurance by up to 25%. If you've recently passed your test, you should consider taking a PassPlus or Any Driver BTEC course, or if you've been driving a bit longer, complete advanced driving courses such as IAM or RoSPA. These courses can pay for themselves in insurance savings, which could amount to hundreds of pounds. Schemes like these have been shown to vastly reduce the likelihood of accidents involving drivers who have taken it. And that could mean cheaper insurance. Got mods? Make sure you tell us about all modifications to your vehicle, even if they don't enhance performance. Some mods might even reduce your premium. Most importantly, you may also get like-for-like cover on all your upgrades, so you won't have to fork out again if you need to make a claim. 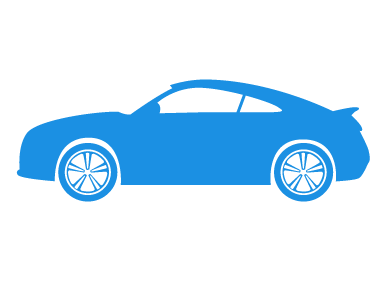 If you have a modified car, find out more about our modified car insurance. Even if your car is not particularly out of the ordinary, our policies could still save you money. Because our staff are used to finding a policy to suit unusual and even completely unique cars, they know which insurers offer the best policies and at prices to suit almost any budget. Our experienced sales staff are knowledgeable in hot hatch car insurance. Along with our many tailor made high performance and hot hatch schemes we believe we offer the best quotation service around. Quicker & Cheaper rates by phone - complete the call me form during office hours (9am to 7pm Monday to Friday & 9am to 4pm Saturday) for an immediate, no-obligation quote.